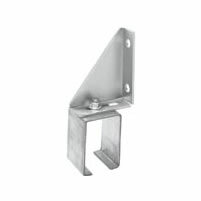 Self clamping single track bracket, can also be used for joining two pieces of box track. 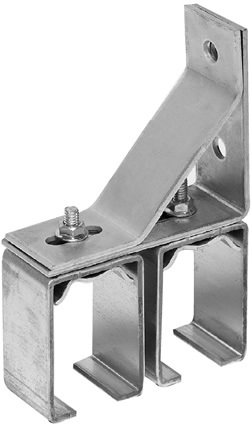 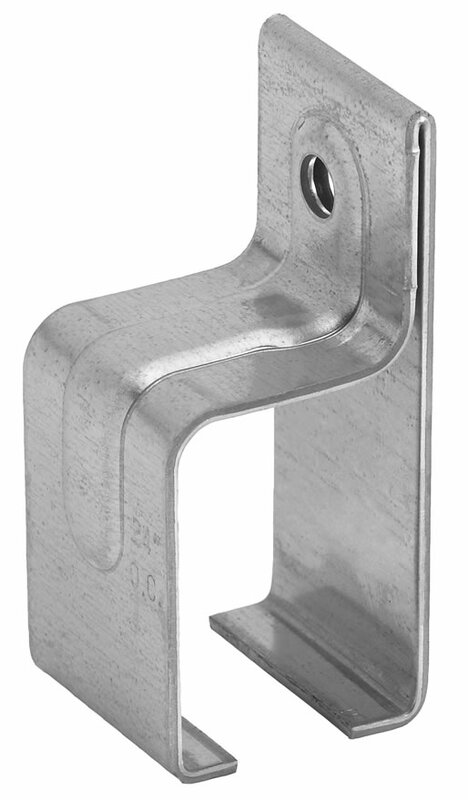 A single splice bracket with two set screws to hold joining ends of track in alignment for long, smooth runs. 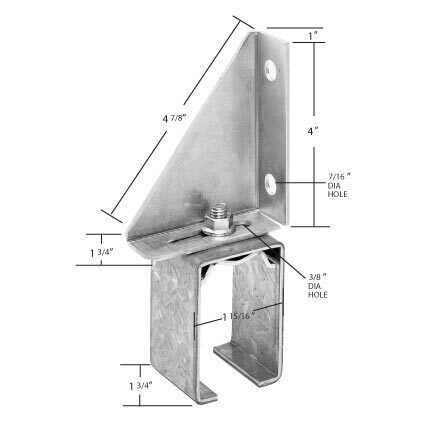 Adjustable face-mount bracket has two mounting holes for 3/8" lag screws or bolts. 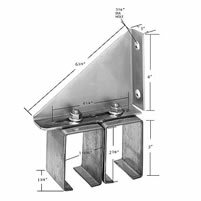 Especially appropriate for metal buildings. 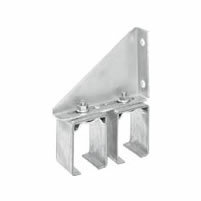 Special clamping feature allows firm track splices for long, smooth runs, when joining two pieces of track. 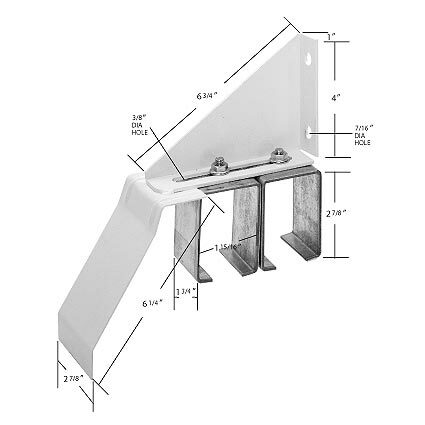 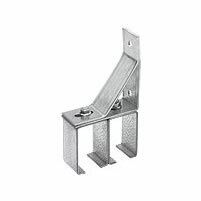 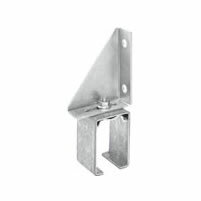 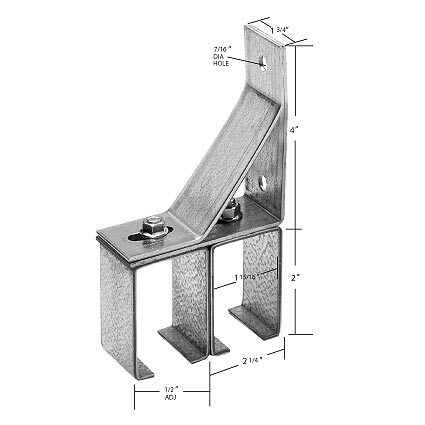 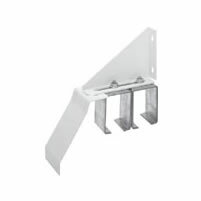 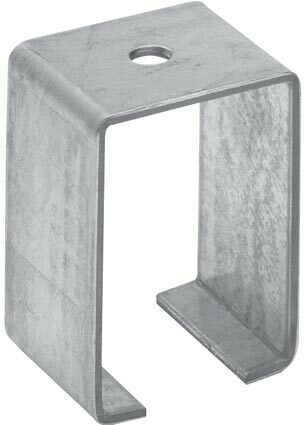 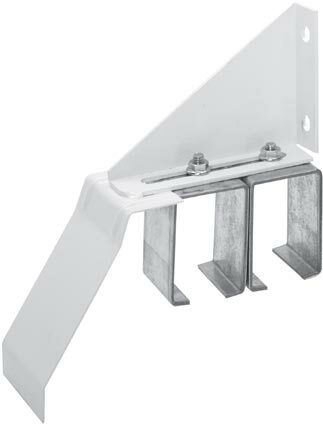 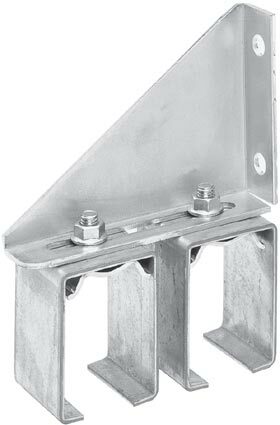 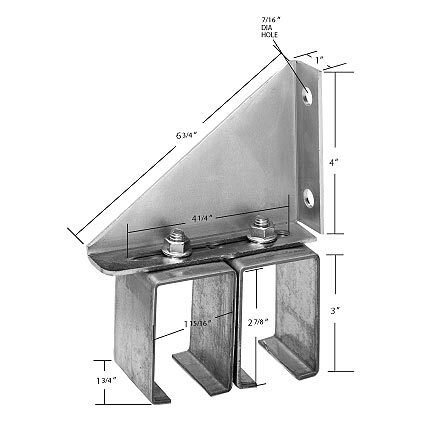 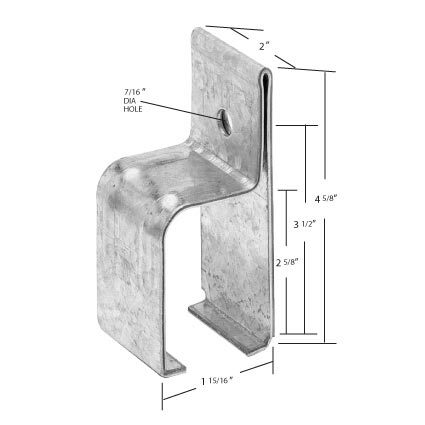 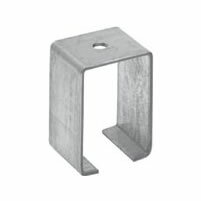 Joint bracket has two mounting holes for 3/8" lag screws or bolts especially apporpriate for metal buildings. 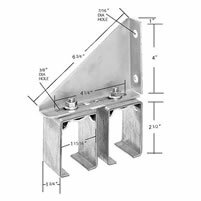 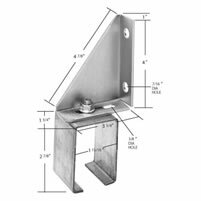 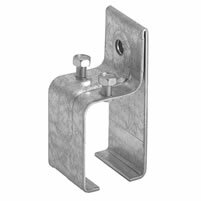 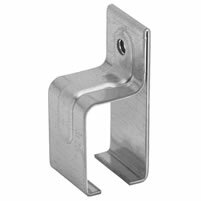 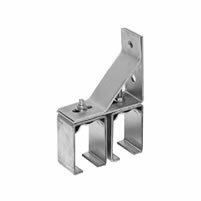 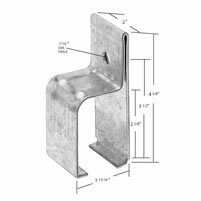 Adjustable face-mount bracket has two mounting holes for 3/8" lag screws or bolts Especially appropriate for wood header board. 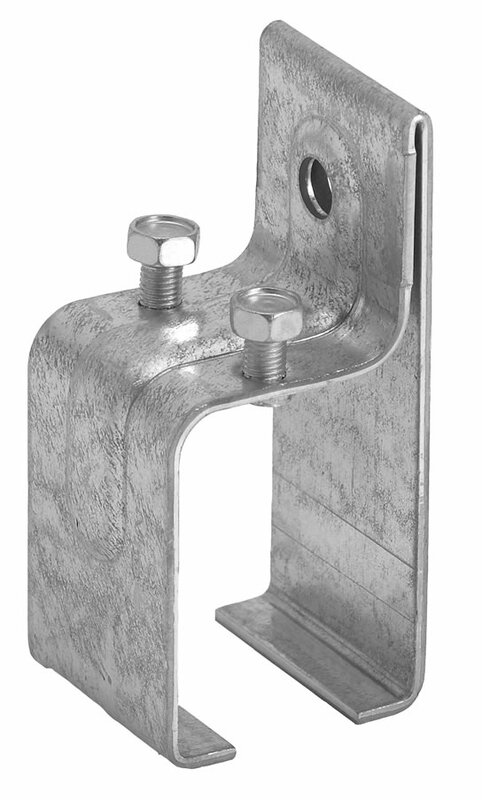 Adjustable face-mount bracket has two mounting holes for 3/8" lag screw or bolts. 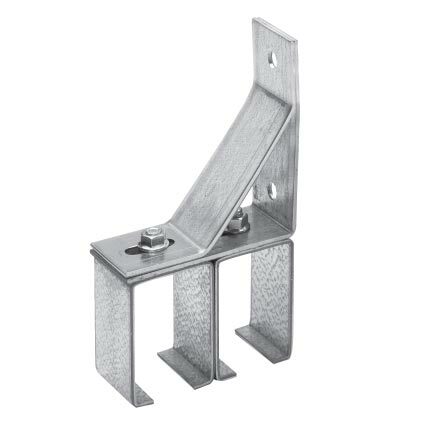 Especially appropriate for metal buildings. 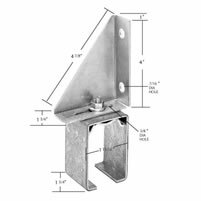 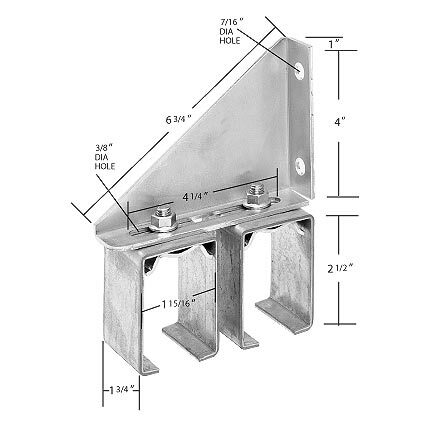 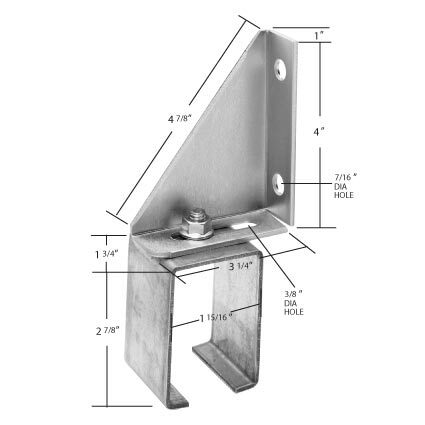 Adjustable face-mount bracket has two mounting holes for 3/8" lag screws or bolts, with flashing bracket pre-attached at the factory to accept a double track cover. 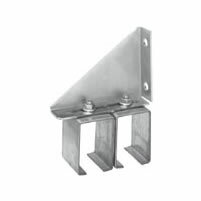 Especially appropriate for metal buildings. 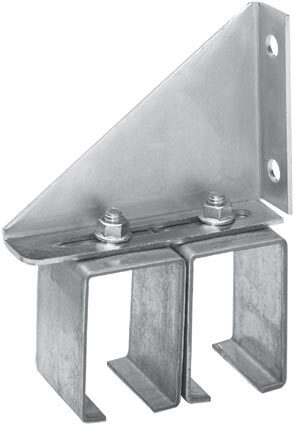 Adjustable face-mount bracket has two mounting holes for 3/8" lag screws or bolts. 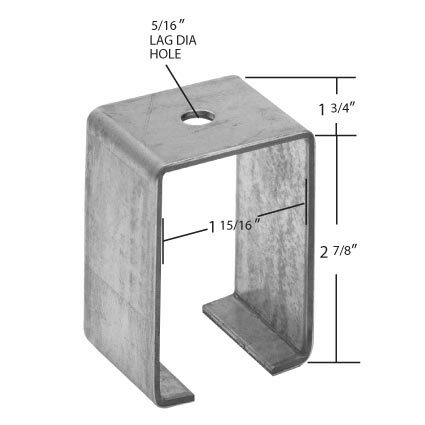 Especially appropriate for wood header board.